Puh-lease— anything but another shiny and distracting new trend, right? ….Except, I was totally and completely wrong. Even after I was told that chatbots were the “biggest thing since email” — I just rolled my eyes and ignored them. Well, it wasn’t until a mentor told me that they were here to stay that I gave them a second look. They were right. And I was so so wrong. But, how much of it is buzz generated by marketers that don’t know what they’re really talking about? Messenger. Replacing email? Gimme a break. However… What if they could become a potent weapon to supercharge your current growth strategy? 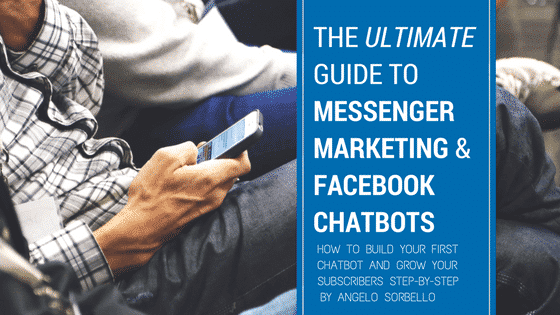 Well, lucky for you — I read basically everything there is to know about marketing with chatbots and created a step-by-step guide to help you build out a strategic Messenger Marketing plan for your business. Are you interested in using chatbots to grow strategically? Keep reading this practical guide. 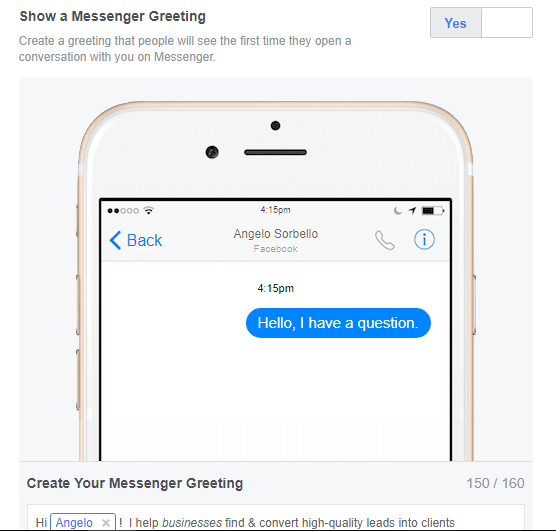 What Is Messenger Marketing and Why Should You Care? Conclusion. The Truth About Messenger Marketing – Will Messenger Replace Emails? It is similar to how email marketing works, conceptually, but in practice, it is different as you have a two-sided interaction. When speaking about why you should consider using Facebook Messenger as a marketing tool, two graphs will make it easier to explain to you the reasons. 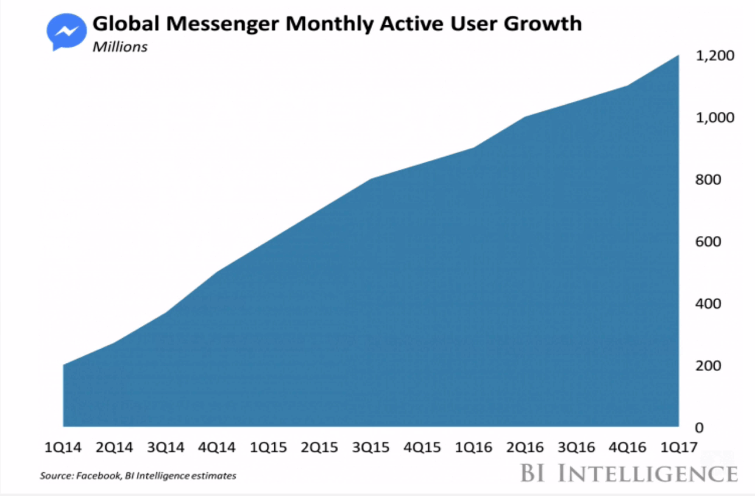 This last graph published by Business Insider shows clearly how Messaging platforms are getting more and more relevant year after year. In fact, currently, people exchange 1 billion messages with businesses on Facebook every month. This means that, while all the other marketers are busy using Social Media, you can surpass them by surfing the growing trend of Messaging apps. This assumption is furtherly backed by a Nielsen’s Facebook Messaging Survey which showed that messaging ranked second out of nine possible modes of communication with business and that 53 percent of people are more likely to shop with a company they can message directly. This means that they are not merely using it for personal communication as many people think. No wonder that Apple recently unveiled “Business Chat,” or Chatbots for iMessage. Not everybody replies to email or click on it. However, the open-rates for emails are about 31%, while for Messenger are about 80% at the moment. Exactly these numbers got many huge companies interested in Chatbots and Messenger marketing like BMW, Adidas, etc. 300.000 AI-powered chatbots were created only for Facebook Messenger. The major reason? In the era of authenticity in Marketing, Messenger and Chatbots help you to build a relationship and engage with customers, on a mass scale. Why Are Chatbots the Future of Customer Service? More than 1 in 2 people say they’re more likely to shop with a business they can message. 67% expect to message enterprises more often in the next two years. Often the question asked from your customers are the same. This means that not being proactive in using Messenger Marketing for your business it’s the same as not replying to the phone. My suggestion: create now your chatbot. Even if you just set up your FAQ, like I’m going to show you later in this guide. First of all, if you’re wondering how much time does it take to build a good chatbot for your business, the answer is minimum 1-hour. Of course, like with many other projects, the more time you pour in, it’s usually the better. Is it hard? Absolutely not! Everybody can do it if you follow this step-by-step guide. If you’re considering hiring a developer, their price usually starts from $ 1000 for a basic bot (+ an eventual maintenance fee) to different thousands for more complex works. Should you hire a developer? It’s your choice. Again, you can absolutely create a chatbot that converts into sales by simply following this step-by-step guide. Let’s start to see now how you can create a fully working bot. In this example, you are going to use Chatfuel, the tool I prefer to use to build my chatbots. There’s a massive discussion about which tool is better. I suggest you stick to Chatfuel, ManyChat, or MobileMonkey. They’re all free. 1. Do You Have a Facebook Page? 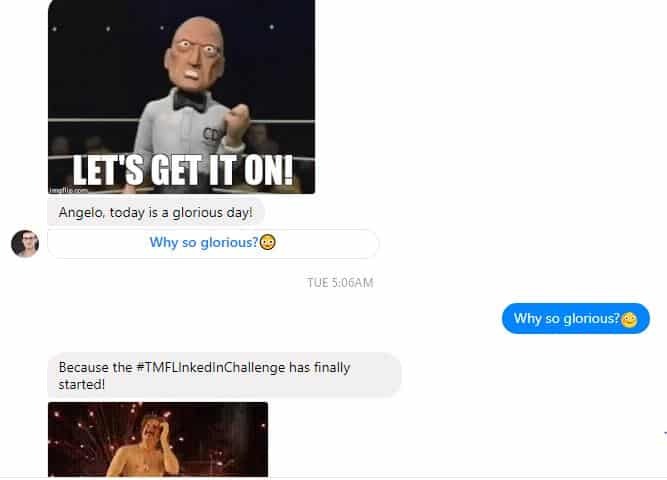 First thing first, you must have a Facebook Page to connect your chatbot. If you don’t have it yet, just create it now. Once you have it, click on “Connect to Facebook” on the main dashboard of Chatfuel. 2. Setup your Welcome Message. What’s that start message that can make your user understand what your world is all about? 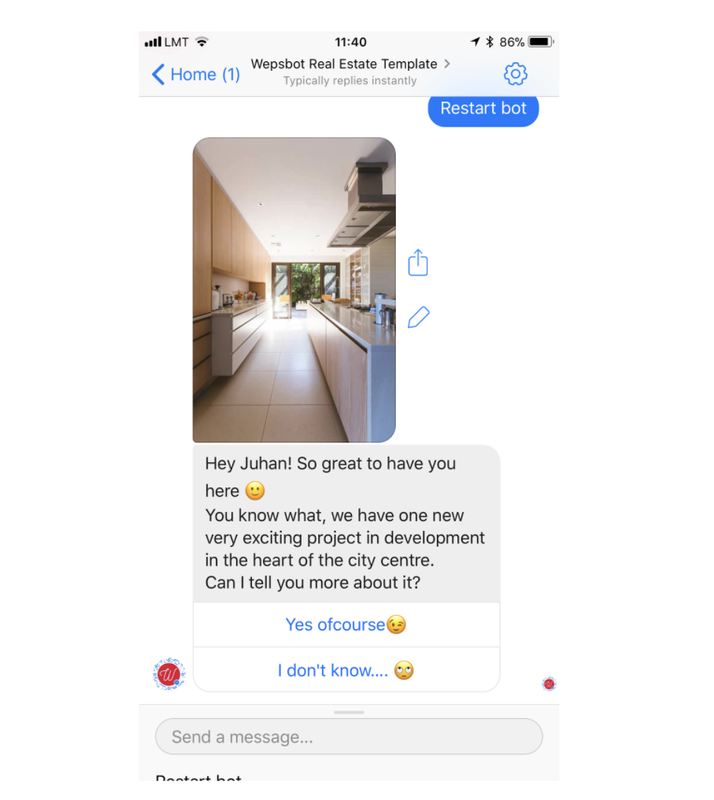 As most of the users are still not acquainted with the fact that chatbots might reply to their questions, another important rule for your welcome message is always to make sure that people know that they’re dealing with a bot and not a real person, unless you have live chat team ready to intervene in case your customer ask something. People, at the moment, don’t know how to order something through Messenger, like in the case of their pizza with Domino’s or their food with WholeFoods. It’s way too early for this. However, this leaves space for another opportunity, teaching to your audience, and create value for them thanks to your contents and insights. Right now is by far the best way to increase your sales as a consequence. My advice would be then to don’t just use your chatbot for customer service or selling reasons. If you do that, you’re leaving on the table the most significant benefit you have: creating relationships. If you see the bot of Mixergy, it teaches you what to do and what chatbots are all about. He first teaches, builds a relationship and trust, and only at the end he tries to sell you something you already showed your interested and understand. This approach is what the whole “Unmarketing” movement is all about. Build relationships first instead of sleazily selling. Chatbots are not a shortcut for that, but they can help us to speed up the process. Your SUPERPOWER: You’ll be able to automate teaching and sell. That means, the process of taking a stranger to be considered trustworthy and being a source of trusted info and education, will be all automated. How? By creating a Facebook Messenger Marketing funnel. Don’t be afraid. I’m going to guide you step-by-step. Soft sell in an educational context. Let’s see how we can create this funnel! One of the main difference between Chatbots and Email marketing is that chatbots are not a broadcasting platform. When you write, think about what would I message to a friend to take them to take the next step in their customer journey? 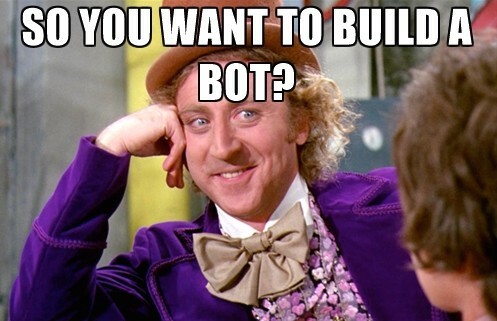 Now, let’s talk about how to make your bot compelling and get people to read your stuff? Copywriting is vital in your Messenger marketing strategy. In this section, I’m going to teach you how to break down your messages to make them more interactive and visually pleasing, and how to structure your broadcasts and follow-up sequences. What happens often, is that people who use Chatbots send you these long-messages that don’t fit the platform. They, in fact, barely fit the screen of your phone. What you’re are going to do instead, is using a fool-proof structure that resembles real conversations between human beings. It’s, Visual + Concise text + Button. Why is it such a sure-proof formula? Well, it’s the same used by newspapers and blogs. In this case, the yellow button “Read More” is the call to action. Your goal with chatbots is always to segment and gain micro commitments. So, how do you get people to click from one message to the other? How do you position yourself to make them ready for the sale? In which stage of the funnel are they? Why don’t people want to buy? With chatbots, you have the opportunity to learn from them. How? Use the three sentences rule by Andrew Warner. Don’t go too long without asking for the interaction. And always keep in mind what is your goal, is it to get a sale right away? To let them subscribe to your next webinar? Whatever is your goal and your subscribers’ goal, always remember to build a relationship first. From what I’ve seen, if you want to sell with your chatbots, what works best is soft-selling. Asking for a sale without doing too much. When you send your regular messages, always give them a reason to start. At the end of your messages, tell hem what is going to happen next. How to hand the right leads to your salespeople? 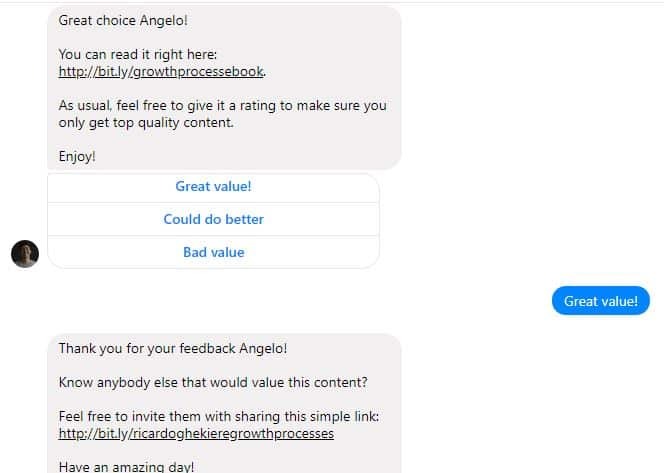 It’s a common problem for B2B businesses, but now that you have your chatbot ready, you can deploy it to send your potential customers to a different sequence based on who they are, and the replies they tell you. After you user subscribed and you eventually delivered your lead magnet, as Andrew Warner shows in this video, ask them a qualifying question. I.e., How much your company spends on Ads every month? 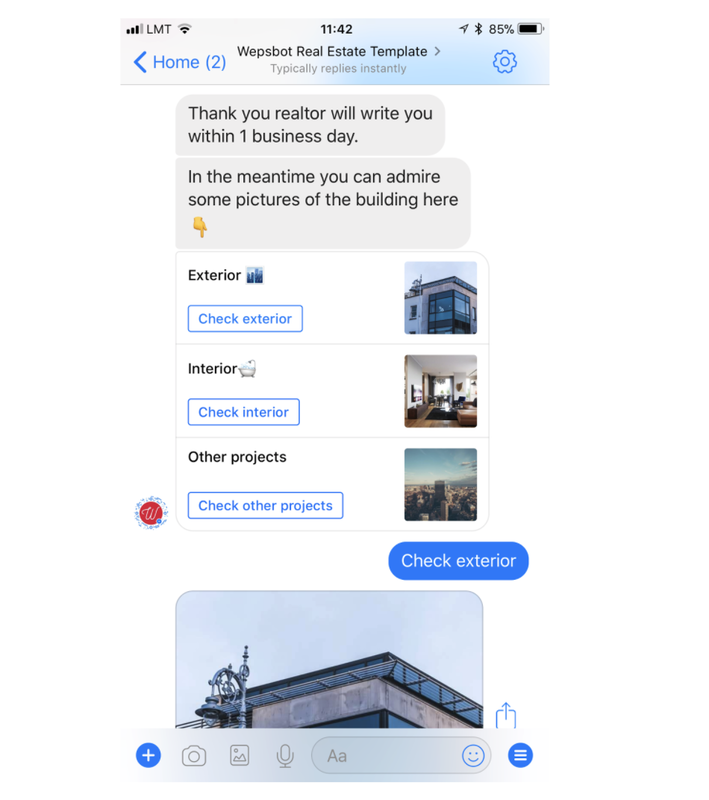 Small details matter when you’re dealing with Messenger Marketing and Chatbots. Here are some important things to make sure you’ll give the right experience with your company’s chatbot. Once they clicked the initial button, people have no idea of what to do with your Messenger bot. Guide them, or people will get lost. Make it very explicit what people have to do; otherwise often they will just not take actions not to tell you that they didn’t understand. It’s going to be beneficial to you cause you can then re-contact them in the future. 4- Beware of how your Profile image looks like on Messenger. Do you see how the borders are cut off this image? 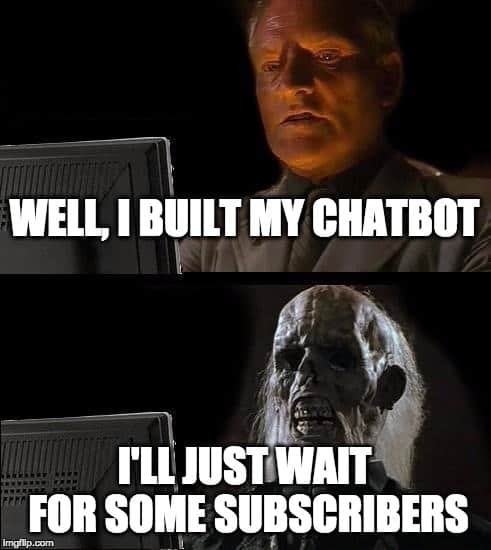 What do you think your subscribers will feel when they start a conversation with your chatbot? Well, probably that you’re not ready to start it. Or that you don’t care about the details. You’re trying to create a chatbot for the whole purpose of enhancing the experience and improving your brand equity along the way. Beware of this; it’s essential to get this right. Not because they are, but because maybe they’re busy or distracted right now. Perhaps they’re texting while waiting for someone to come in 5 minutes or they have a kid to surveil. Take this in mind while creating your sequences and broadcasts. Reminder: People expect value from you regularly. This might mean that you create contents, not for their own sake but to teach your audience and solve their problems. You want them to look forward to your content! This depends on your audience, try to understand it through your analytics, surveys, conversions data, etc. It’s not important what do you think will give them value, it’s about what brings it for them. Without this premise, your Messenger Marketing efforts would be useless. Your chatbot and messenger marketing funnel are ready congratulations! If you’re not getting inquiries organically from your Facebook Page, there are different tactics that you use to get more subscribers. 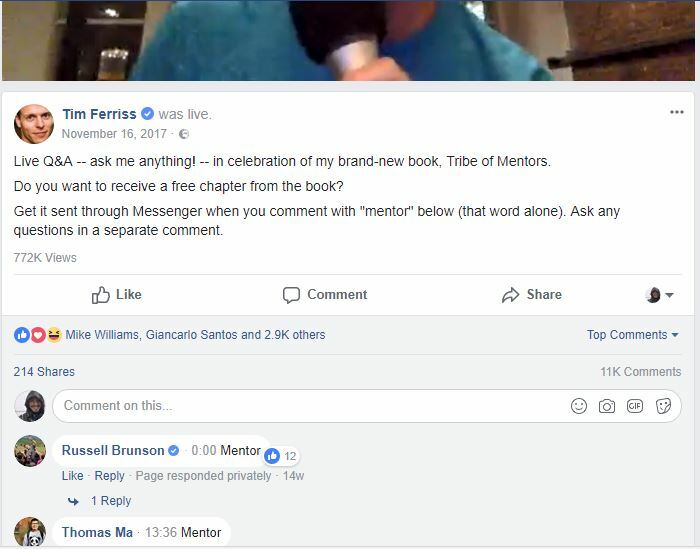 You can add a rule to your Facebook Page, that when people comment a specific word or phrase, they’ll be contacted in automatic on Messenger. It’s usually effortless to set up. 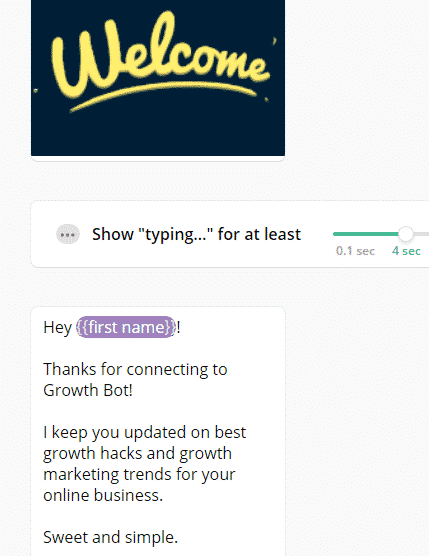 You just have to find the right feature in the “Grow” or “Growth Tools” tab on the platform you used to create your chatbot. Simple as that. 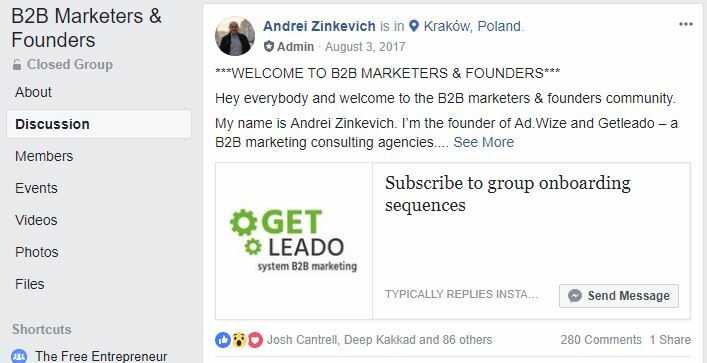 Instead of asking for an email, you implement instead a “Send to Messenger” button on your landing page to deliver your lead-magnet, promotion, or similar. It’s not uncommon to see higher conversion rates in your landing pages by adding this button, just because in some industries, in particular, people have been asked to leave their emails too often, and that’s something different. You can easily invite your subscribers to share by implementing a button like in the picture. You can find the m.me link at the top of the dashboard when the bot is open. Over the past year, I’ve been running more and more Messenger Ads. 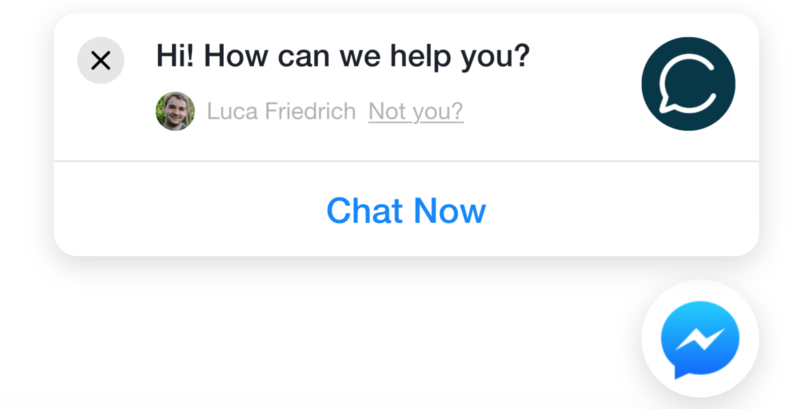 This kind of Facebook Advertisement brings the user who clicked on the ad, straight to a Messenger chat inside the platform instead of getting him to an external page. They work fantastically, and are a great way to get both a Messenger subscriber, and why not, an email subscriber too if you ask them for it. Adding a live chat to your website is not only useful for customer service. You can use it as a tool to grow your Messenger subscribers. 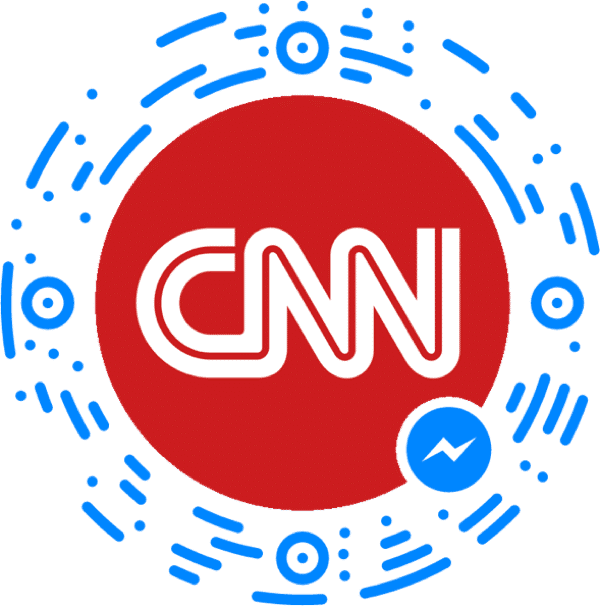 There are different chatbots directories online where you can add your chatbot, such as BotList, Chatbottle, and the official Messenger Discovery section. They basically work as an App Store for chatbots. A Messenger Code can be scanned using the camera functionality in Facebook and Messenger mobile apps to lead a user to your bot instantly. It’s similar to the most famous Snapchat code. Add a Send Message button on your Facebook page. This will enable your page visitors to connect with your chatbot in one click. 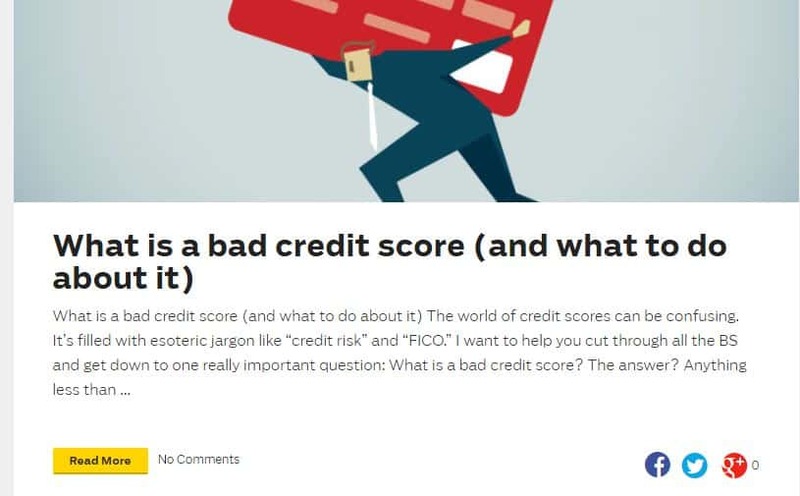 As I said before in this guide, people, at the moment, just don’t know how to order something through Facebook Messenger, like in the case of their pizza with Domino’s or their food with WholeFoods. But this leaves space for another opportunity, teaching to your audience, and create value for them thanks to your contents and insights. 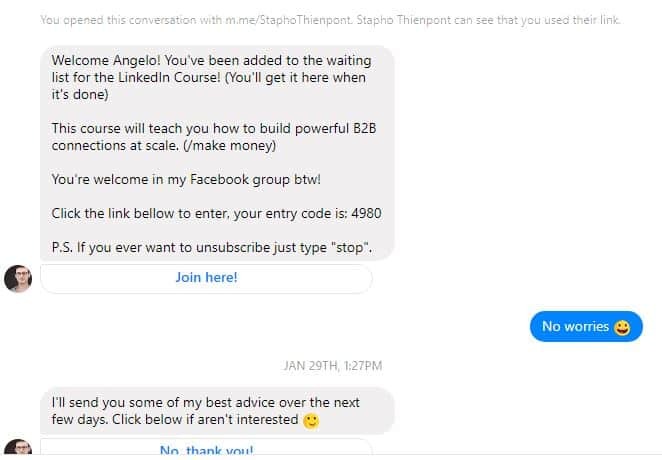 Stapho Thienpont and Sonny De Meester of the Marketing Family, a full-stack LinkedIn growth agency, understood that, and they skillfully used their chatbot to deliver engaging teaching sequences with what constitutes an entire course on how to become a LinkedIn sensei in just a few steps. Their strategy has been to first invite people interested in the course by producing relevant contents on the topic and distributing it on various social platforms. With chatbots, the same principle of email marketing applies: You don’t want many subscribers, you want the right one. That’s why Ezra Firestone of Smart Marketer suggests adding a “unsubscribe” button to each broadcast. They then used the power of chatbots to survey their audience and deliver the best contents of their course. Of course, this kind of data will be useful for them also to know better what materials create on in the future, on what services they should focus more they’re efforts, and so on. How many people do you think would have replied to an email sent to the same question/survey? Very few; that’s the magic of Chatbots, crazy-high CTR. And now time to sta… Build anticipation. Before of starting the actual teaching of the course, Stapho and Sonny kept growing the subscribers to their chatbot. How? By sharing the bot through Messenger. It’s one of the easiest ways to do it as users remain on the platform and will be more likely to join. And now finally, time to teach! See how interactive and engaging are the contents. That’s the superpower of chatbots, creating a more valuable experience for your customers, who always come first. Step #2. 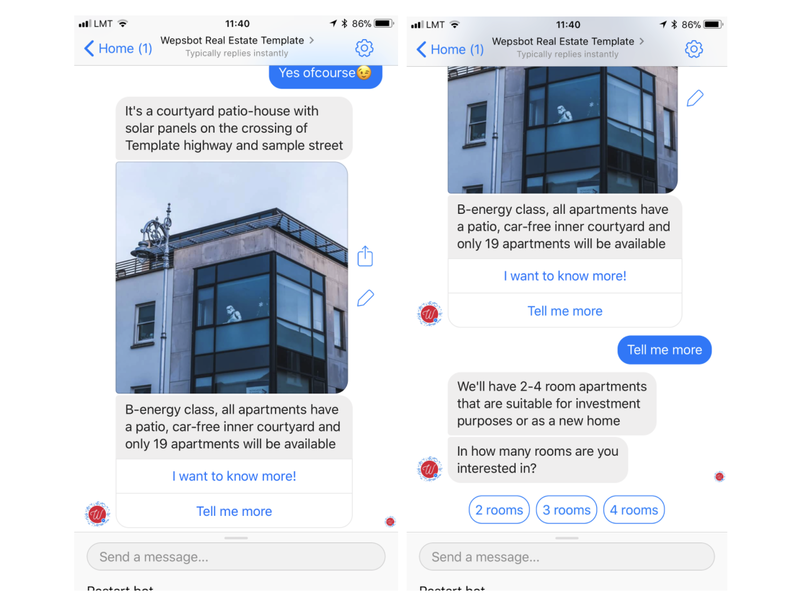 Once the user clicks either of the buttons, it will trigger the next step, and the bot will start nurturing the lead with information about the apartment + understanding what are the needs of the lead. Step #3. 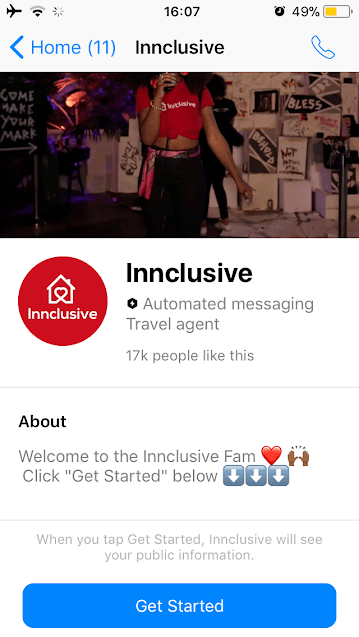 After getting a basic understanding of the user’s preferences and making sure they’re interested in the apartments, it’s time to get that lead and put him in touch with a real-estate agent who will take it from here. Note #1. 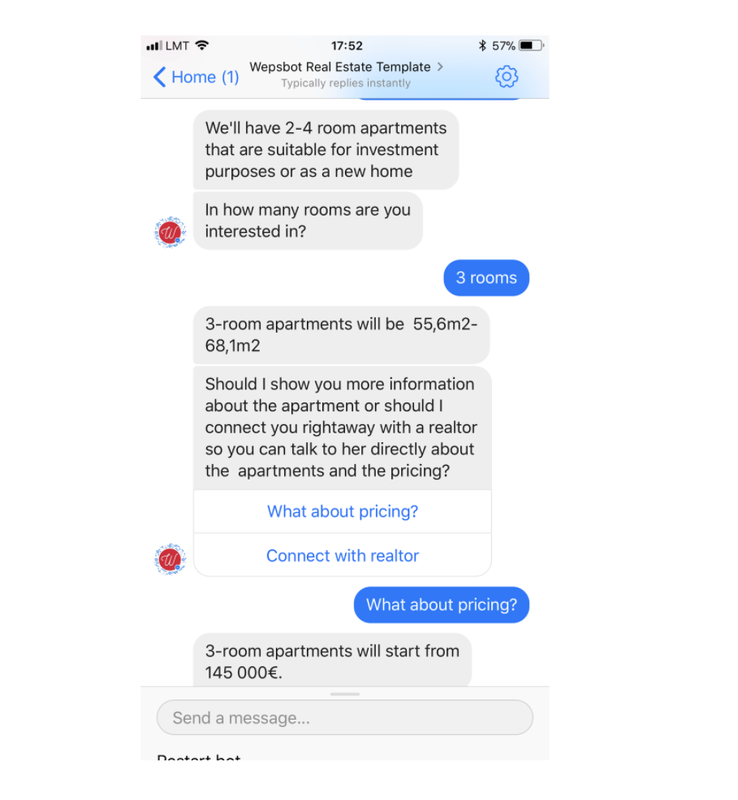 A chatbot is perfect in a way that it can interact with the person without being too pushy, if the user is ready to take the communication over to a real-estate agent, he can do that. If he wants to get more information, he can do that too. 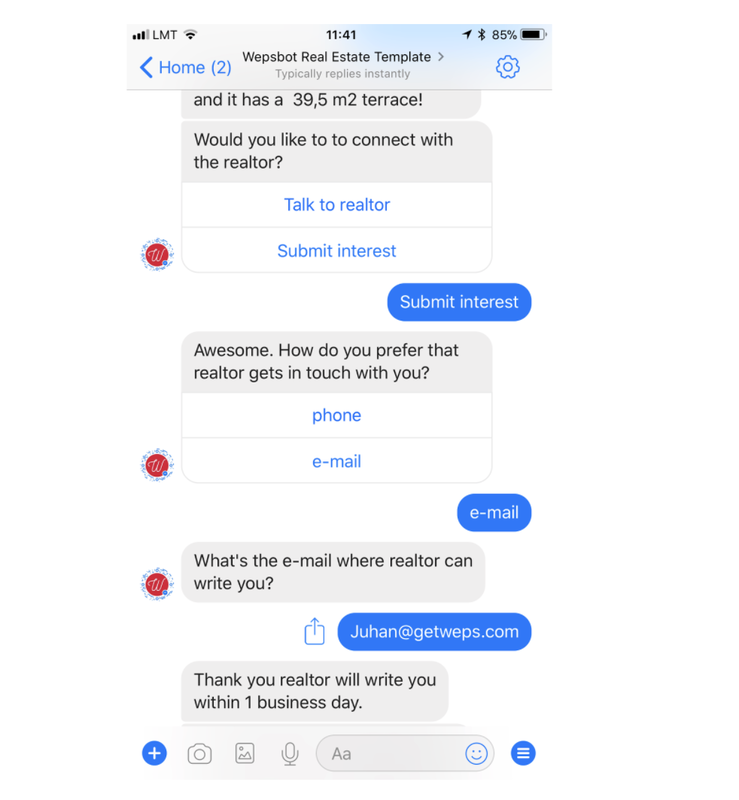 Once the user is ready to talk to the agent, the chatbot asks the person about her preferred channel of communication (for example phone vs. email). In our experience, people prefer to leave their email in 90% of the cases. The bot collects that info and forwards it to a spreadsheet or CRM via Zapier where the agents have access to it and get in touch with the potential buyer. provide financing options and so on. Imagination is pretty much the limit. In this case, we’re giving the user an opportunity to check out more pictures of the property as well as check out other developments. The bot in its nature is extremely simple, and there’s lots of room for improvement, but the results we’ve had with this are quite astonishing. This bot has been actively running for ten days. The ad spend has been 94 EUR (roughly 100 USD). Facebook Messenger Chatbots currently have much higher-CTR than emails. Then, why not leverage this factor to distribute your content more efficiently? If more people view your blog post, the chance that your piece of content will be shared and get as a consequence more visits, leads and SEO-juice multiplies. 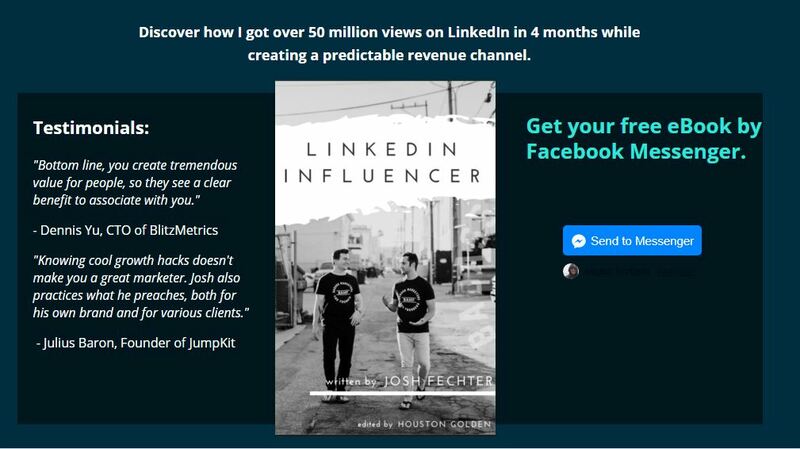 That’s what Ricardo Ghekiere, founder of Fast Forward, understood and sapiently implemented to distribute his bi-weekly growth marketing guides. His approach consisted of promoting/drive traffic to his remarkable contents from social media and other instances, and from that articles adding a link to his chatbot. His welcome message and content distribution system are easy to understand for his final users. Notice how he’s always engaging with his audience with few-sentences messages, and how he doesn’t limit his messages to just point to the content. He’s not pushing you anything but merely having a conversation with you. That’s precisely what chatbots are all about, creating relationships. eBay, the leading online auction and sales platform, has been one of the first to experiment with chatbots in the world of e-commerce. The eBay Shopbot allows users to browse items and shop directly from the Facebook Messenger app. Tell it what you’re looking for, it’ll ask a few qualifying questions, and then present some suggestions based on your answers and preferences. An exciting feature is a chance for the user to upload and share a photo and ask the Shopbot for similar items. “When you post on social media, you get engagement. 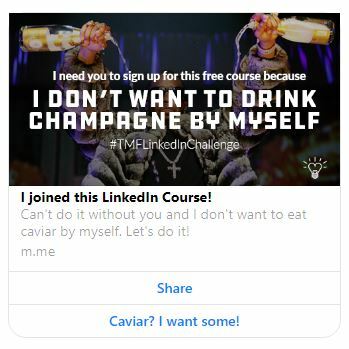 understood, and he smartly leveraged his more than 13,000 chatbot’s subscribers, which he gain along the way with a content framework he explained in this article, to go viral on ProductHunt. The same approach can be used for every other viral platform, like Reddit for instance. “I went ahead and pieced together a 300+ page book about growth hacking. Submitted it to Product Hunt. 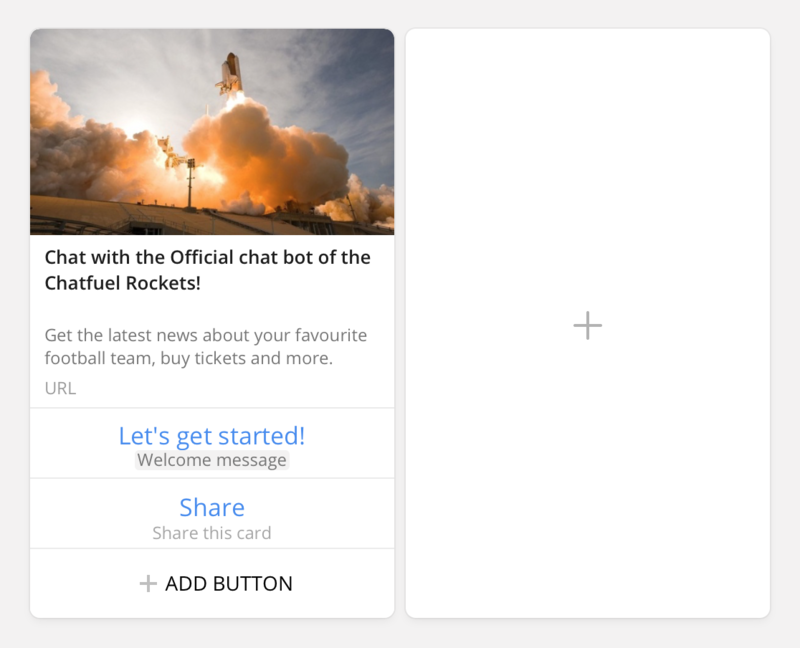 Followed this Product Hunt launch formula. Then received over 8,000 new subscribers. Then I repeated it a month later with a new growth hacking book. And I received another 4,000 subscribers. By then, I’d also done more giveaways resulting in 14,000 subscribers. Whenever we release a tutorial, we’re no longer promoting it to the 1,000-person list. Because we include opt-ins on all our blog posts and around our site, this wave of direct traffic from Messenger will generate organic traffic via direct referrals, sharing, and better SEO. Here’s an opt-in I use on my personal website. This led to over 3,000 new subscribers! You never know where they’re coming from. The next step is to do one viral release every month on the right platform. Even though I release books, it doesn’t mean you need to do the same. Many B2B companies are wondering if chatbots wouldn’t suit more B2C brands, e-commerce stores, or professional services providers. If you think so, you cannot be more wrong! Chatbots are a fantastic opportunity to qualify your leads on autopilot and save time. But also to reduce the lead response time, which how we already said in this article, is always more crucial to not turn your hard-earned leads cold because you weren’t fast enough. A great example of how to do so showed by Single Grain, a Digital Marketing agency. 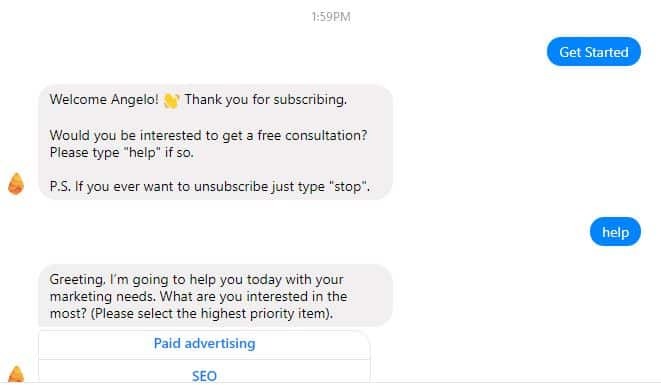 When you first connect to their chatbot, they immediately ask you if you’re interested in a free consultation, which is the end goal of the interaction. They also ask you what are you interested the most to segment their users smartly. Even though the technology is far from being at the end of its journey, and huge steps forwards are done by developers in this field each day, possibilities with chatbots are endless. For your online business, we already talked about how you can use Messenger Marketing and your chatbot to do lead nurturing, content delivery, qualify your B2B leads and drive more sales. Through Messenger Marketing, you will give your customer an enhanced and more personalized buying experience, and guess what. This is considered by branding experts to increase your overall brand equity. It’s is just a glimpse of how powerful Messenger Marketing can be if used correctly to build a relationship and engage with your customers. 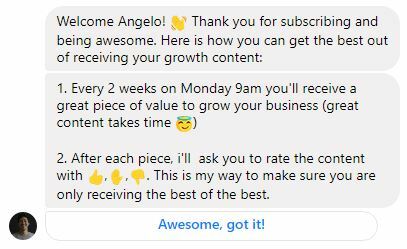 With such high-CTR, if you have an extensive list of subscribers on your chatbots, it’s going to be easier than ever to distribute and get traffic to your latest piece of content. Get more leads and qualify them on autopilot and use a free or paid consultation as a CTA. Is writing your passion/side-hustle or profession? With Steemit you can make money by writing, or by upvoting. You don’t have to pay any money to give money to other people. Medium Partner Program is similar, and you’re paid for the performance of your posts. Combining affiliate marketing and chatbots, it’s an innovative way to help customers find the right product at the right time. How? Join the affiliate program of Amazon, Udemy, Clickbank, or whatever you want. Whatever you choose to do. Remember, don’t be spammy! Build relationships, think long-term. Conclusion. The Truth About Messenger Marketing (Will Messenger Replace Emails? 1- It’s fast and enhances the experience. 2- It’s more enjoying and personalized than emails. 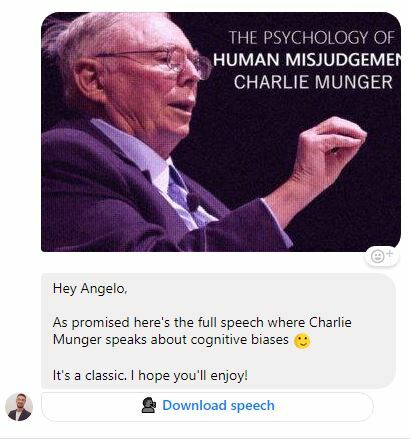 Marketers have been looking for something that would have surpassed email marketing for years, and I don’t think Messenger marketing will do the work. Why? 1- You don’t control the platform. Facebook owns everything, and they will (probably) push you to pay to reach whoever subscribed to your email list. 2- If you ever break the Terms and Conditions, you’re screwed. You worked so hard to build a Messenger subscribers list, but it happens more often than you can imagine incurring a ban even if you’re not a blackhat spammer. 3- Your email list remains your most powerful asset. It is something that nobody can take from you, and is still the best way to product ROI in the long-run. However, you can even get their email address with your chatbot, check this video to see how. 4- Right now the Open Rates and CTR are incredibly high because people are not used to receiving broadcasts from their chatbot as they are with emails. In the late 90’s Jeff Walker and many other marketers were producing the same results of right now with Messenger with email. What is the matter then? 1- Messenger Marketing is still an inexpensive way to serve your customers and help you to build a badass brand, and increase sales. 2- In the long-run, quality always wins. It doesn’t matter if Messenger Marketing does the trick, for now, in the long run, you will subscribe to 5-10 email lists of the business that you care about, exactly as you do right now with Emails. I read every single email of the people that I’m a fan of. And it all always belongs to this, build your first 1,000 or even 100 first true fans (insert a link), and in my advice, the best way to do this is by producing badass contents. If you produce content that helps them out, it doesn’t matter how you will reach them. They will want to be reached, doesn’t matter if you’re using Messenger, Emails or a pigeon. Build a customer-centric business, stop focusing on what is best for you, and focus more on what’s best for your customers. Curious, how are you using or plan to use Messenger Marketing to grow your business? Leave a comment. Excellent explanation. Facebook messenger marketing is an emerging one and chatbots are very much helpful for that. Thanks for sharing, This blog has really useful information about AI Enabled Marketing chatbots Readers.